Our entry to South Africa five and a half years ago was not as smooth as it could have been, and in the beginning I was very sad and a little lost. Gorgeous Man was busy with work and I was stuck in one room with no radio, tv or transport while we waited to find a house and for our things to arrive. Gorgeous Man asked me what I needed to make me feel better, and then he borrowed a car and we drove around until we found a store that sold yarn. 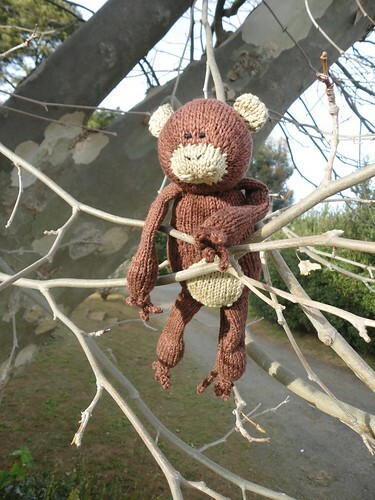 After that I needed a pattern, so I searched online for ‘free knitting patterns’ and I found this blog. I had never seen a blog before and this was a revelation! I’ve been reading Emily’s blog ever since. 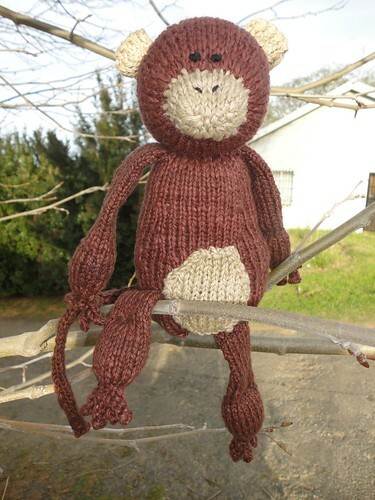 So when I saw that she was the guest designer for the Mystery Knit Along in the Knitted Toys group on Ravelry I had to join in. Here is the finished toy. 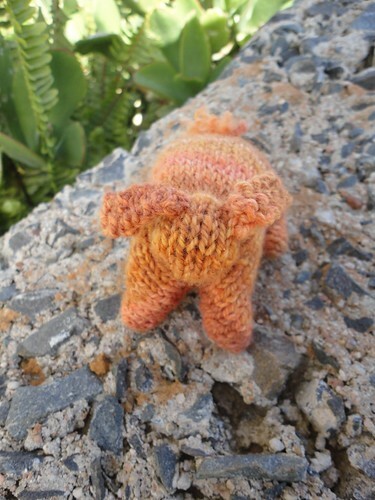 If you missed the Knit A Long. 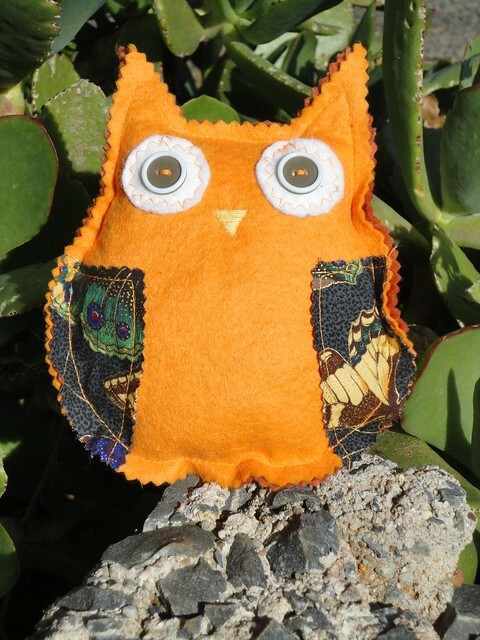 The pattern will be available for sale soon on her blog and you can make one of your very own. It was a fun knit and really didn’t take that long. For my first multi-part toy I think he’s turned out pretty well. I’ve been indulging in some quick knits lately. 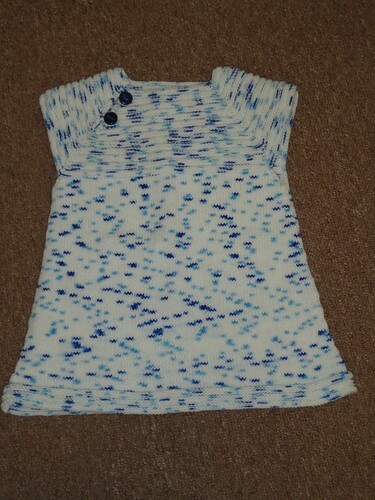 This little cardigan used up deep stash. I don’t remember buying the yarn or what it was originally used for. 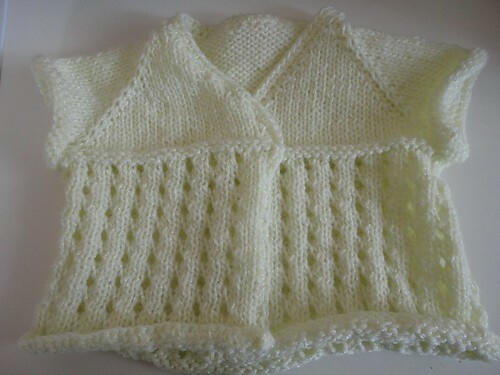 The pattern, as written, had a very unfinished look to it, so I crocheted an edging on the neck and bottom. Not as much as I’d like to though because I ran out of yarn. I have a lot of pregnant friends and relatives at the moment. 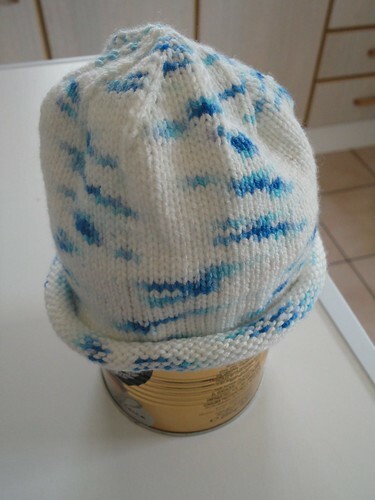 Here is a little hat for a friend who’s having a boy. 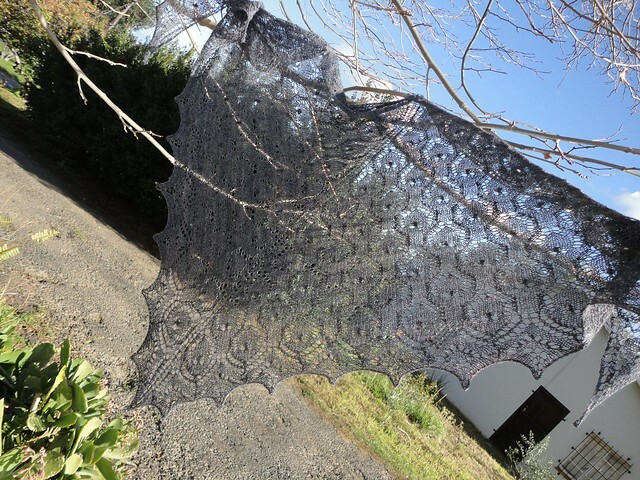 The yarn is left over from Gorgeous Girl’s dress. 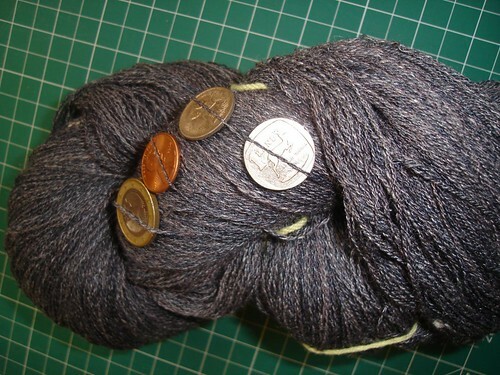 This was also deep stash yarn – it’s left over from a blanket I made Gorgeous Girl before she was born. I made this small scarf as a gift. 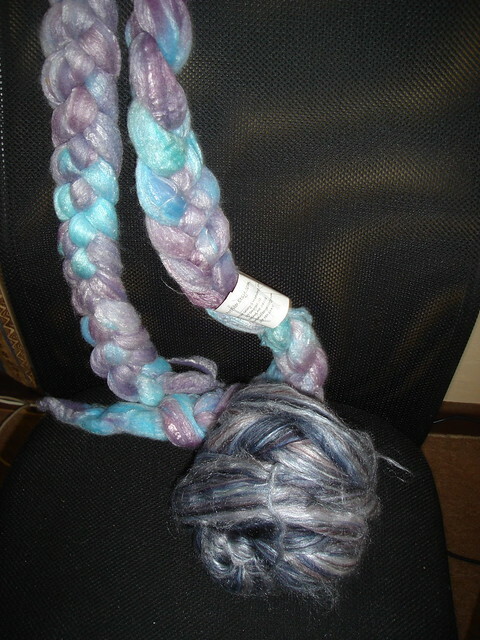 It’s from early handspun that I dyed and spun myself. 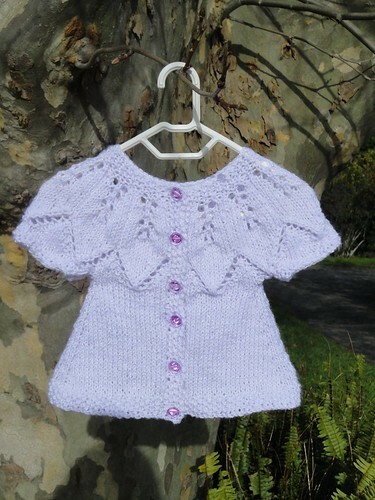 The whole time I was knitting it Gorgeous Girl kept trying on and asking if it was for her, so I made a second one. She uses it mainly for dress up play when she piles on the layers and heads off to ‘explore the Arctic’. There are another two hats finished and on Sunday Gorgeous Girl and I sewed a toy platypus which has come out very well. I just need to find time to sit down and transfer those pictures from the camera onto the computer. 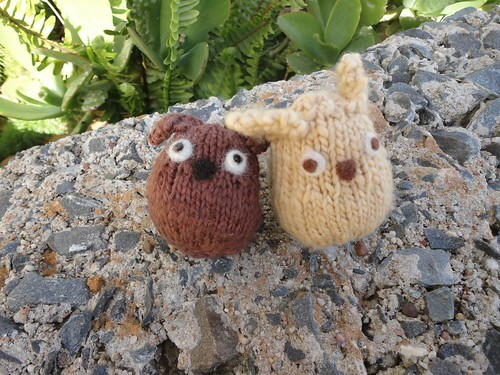 A few posts back I posted about the lovely owls that Gorgeous Girl and I received from my very talented sister-in-law. I got word today that their parcel has been received and I can now show you what I sent. These were for the kids. For Rochelle I made this. 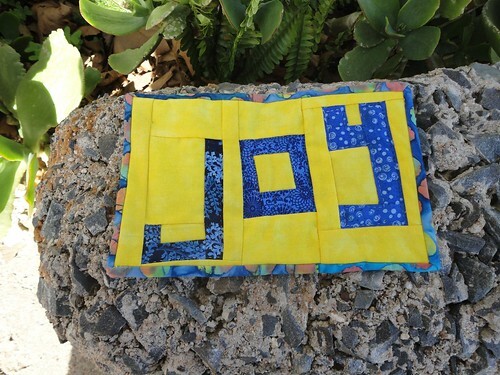 It’s a mug mat and my first attempt at free piecing letters. I was very excited to see Tonya’s book for sale in our local book store. I had been debating whether to order it online or not. This was my first (but not the last) project from the book. A few years ago Gorgeous Man brought me some fibre. It was one of the first things I spun on my Ladybug spinning wheel. 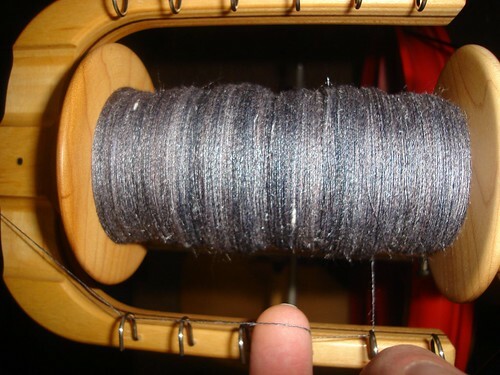 Which I then turned into this two ply yarn. The coins are (from left) 1 Euro, 1 penny, 1 Australian 5 cent and 1 South African Rand. 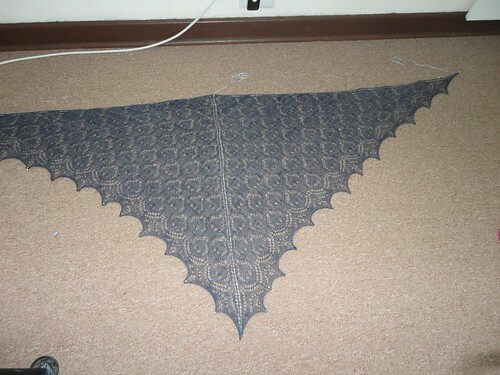 Then I cast on and knitted for a few months. 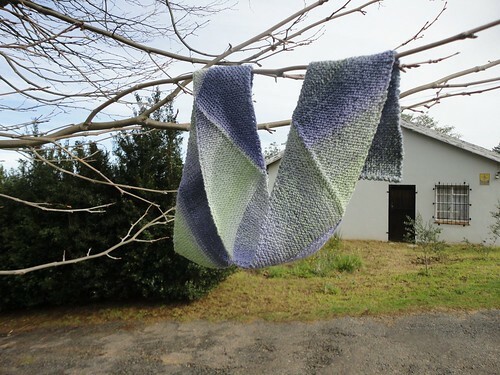 Fountain Pen shawl from the Spring 2009 issue of Interweave knits. Gorgeous Girl is now at the age where she can help with making things. She’s also starting to raid my stash to ‘make’ things on her own, and can operate my ball winder really well. 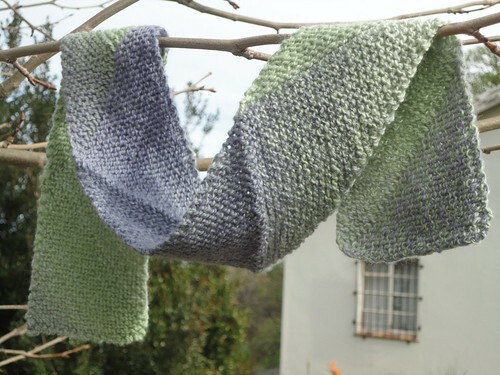 Recently a friend had a knitting pattern in a local South African craft magazine. I don’t normally buy the magazine but I picked up a copy and found a wonderful soft toy pattern in it. Gorgeous Girl went through my stash of felt and fabric and picked out the ones we should use. She then selected the buttons for the eyes and I put it all together. This was really fun and only took about an hour to do. I think it took as long to choose the materials as it did to sew the thing together. It’s lightly stuffed with wool. I’ve been quilting. In fact I have a quilt top finished and will be dropping it off to the long-armer on Sunday. As I’ve been working on the top I’ve also been trying to use up my strips as leaders and enders. Here is the strip box. 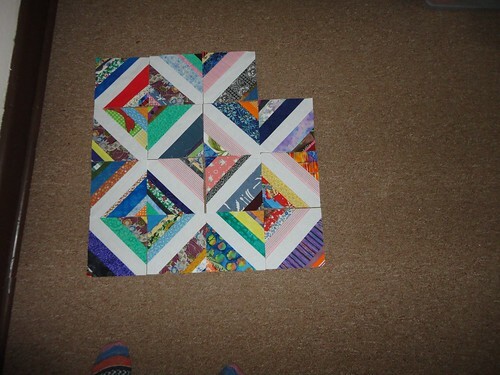 I’ve now got 25 blocks done, so it’s growing. 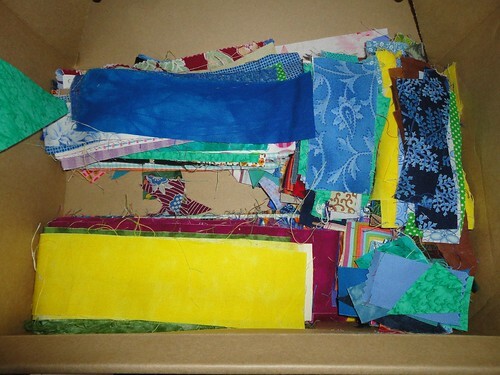 Lots of left-overs in these as well as some strips from friends (Kate you should see some of your fabric in here). I’ve been on a roll with the knitting, but have only managed to get a few things from the camera to the computer. having bilateral grommets inserted, and it kept me from chewing off my fingernails with nerves. Her hearing is back to 100% and we don’t need to go and check with the ENT surgeon until December, so it’s all good.